description: Enjoy food for mind, body and soul at this special lunch and learn for women, which will take place on Wednesday, May 1, from 12-1:15pm. 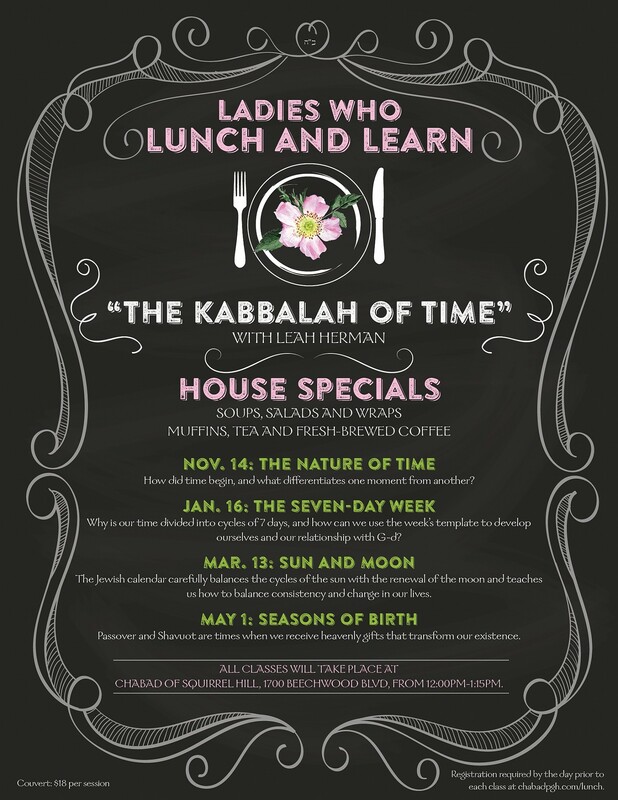 The class, on the topic of “The Kabbalah of Time: Seasons of Birth,” will be presented by Leah Herman. Registration required by April 30 at chabadpgh.com/lunch.